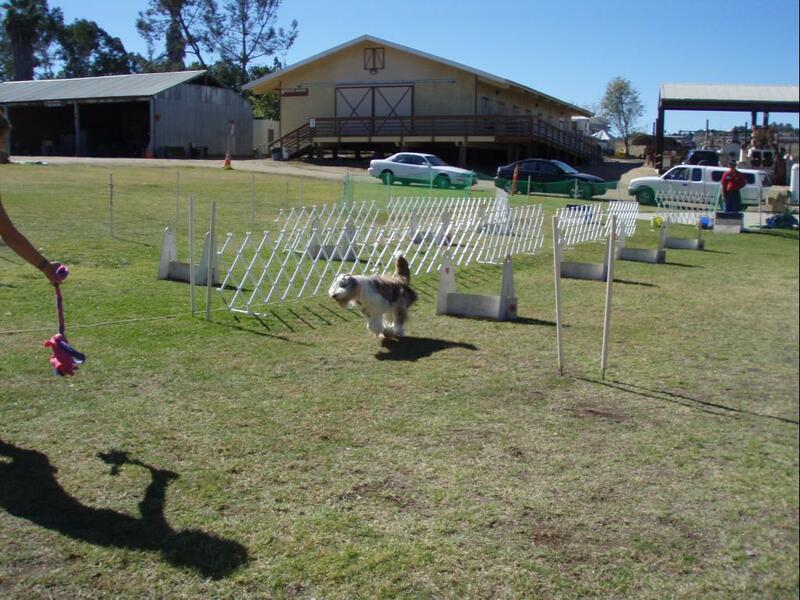 heer is harlow raysing through the flyball korse go harlow go!!! and heer yoo can see harlow demonstrayting the proper tung dangling tekneek to stay kool on those toasty afternoons wel dun harlow!!!! Are you in big trouble or what? Did ewe dew something bad with that gold card we gave you? Bearded Collie, Hmm? That’s the weirdest looking collie I’ve ever seen. Harlow looks very pleased with himself. He looks like he needs a BIG drink which I’m sure he got. I think Jessie would be good at Fly Ball. Might look into it. 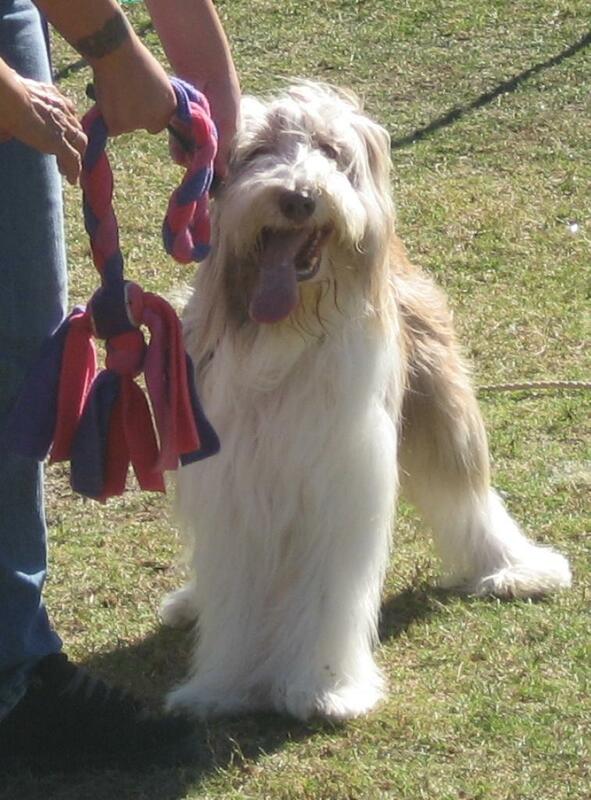 Harlow is gorgeous but I’ve never seen a bearded collie like that. Looks like a lot of fun out there! Hai Dennis, did yoo tell Harlow dat the furs in da chin are a bit muddy? I bet it was fun tho!! A rope tug toy with a ball attached to it?!? Omigosh! Why does I not have one of them toys? I will have to take this up with my Mummy. Hey that looks like fun!! I am thinking that flyballs is looking pretty fun! Do they let pit blls do it? Oh and I think that Harlow is exceptionally good at demonstrating the long tongue cool off technique. I can see why Harlow has the cooling of technique down..
“And if you run fast enough, you’ll encourage your human to stand still with the throw toy until you arrive. That’s the positive reinforcement technique.” Yes, Harlow’s a very good coach.